• "I absolutely fell in love with this book! The characters are interesting (and all have their own flaws). I never knew what was coming around the next page in the story. I couldn't wait to finish the book so that I knew the who's and why's while never wanting the story to end. I can't wait for the author to publish another novel!" • "This is slapstick in print! I thought that poor Mina couldn't have more mishaps and then she had more mishaps. This book is a good read to lift your spirits and make you laugh." • "I really didn't know what to expect when I began this book. At first glance, I thought it was a cookbook. However, after reading more carefully I decided to give it a try. So happy I did!!! Mina Kitchen is a fun character and makes reading even more fun. Looking forward to more." • "… one very enjoyable madcap adventure. I haven't done a lick of housework all day, and I'm not the least bit repentant. Spending my time with Mina and her entourage was the most fun I've had in quite a while." 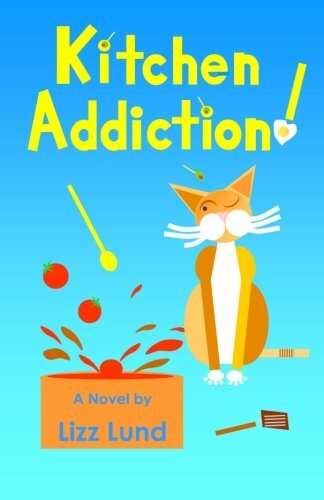 She works at a typical job, with some not so typical quirky friends, two talkative pets and decompresses her stress by cooking…and cooking, and cooking. Poor Mina's inherited catering disorder complicates things, especially after she meets Chef Jacques. But tangling up her not-so-ordinary days is a prescription drug sampling ring, apparently being run right out of her own basement. This is a funny read, that will keep you chuckling - beverage drinkers, take care. Disclaimer: if you don't like frothy fiction, put the book down. But if you enjoy authors such as Janet Evanovich, Erma Bombeck or Marian Keys - you're headed for some fun.